The Priamar Fortress (Italian: Fortezza del Priamar) is a fortress occupying the hill with the same name above the port of Savona, Liguria, northern Italy. 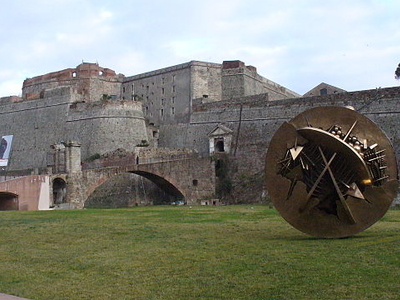 The fortress was built in 1542 by the Republic of Genoa on a promontory where in medieval times was the nucleus of Savona, by design of architect Giovanni Maria Olgiati. However, traces of pre-Roman, Roman and Byzantine presences in the site have been excavated in the past centuries, and are now on display in Savona's Archaeological Museum. Here's the our members favorite photos of "Forts in Genoa". Upload your photo of Priamar Fortress!